I found this Raspberry Balsamic Jelly recipe by accident. I was in the doctor’s office reading some old magazine. 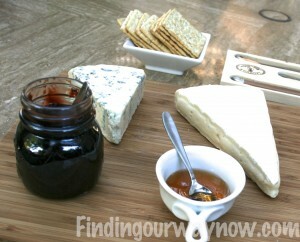 In one of the articles, there was an article about homemade accompaniments for a cheese plate. One of the items was a Raspberry Balsamic Jelly. It sounded fascinating, so I decide I must give it a try. 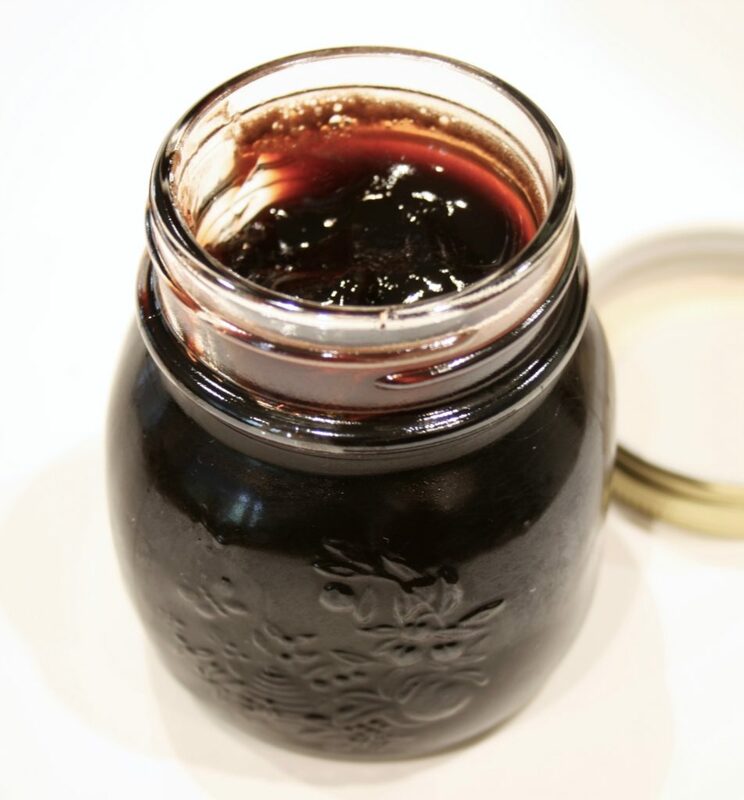 After the doctor’s appointment, I went to the store and bought what I needed to make this Balsamic Jelly. It was an immediate hit. It’s just the best stuff ever, and I now don’t limit it to only a cheese plates. It’s particularly nice on herb-flavored biscuits too. You must give it a try to see just how good it is. 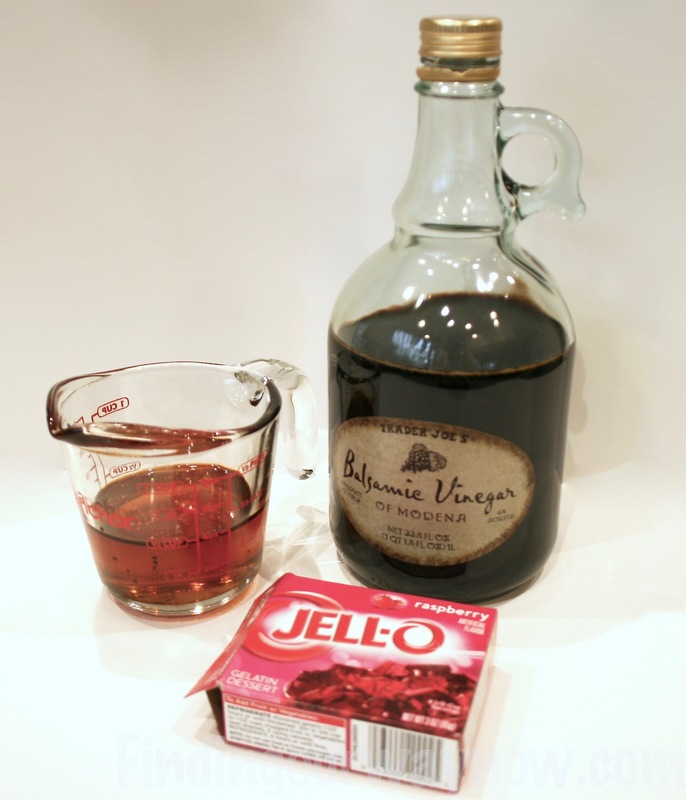 Pour vinegar into a small sauce; sprinkle gelatin over the vinegar. Let stand until gelatin softens, about 10 minutes. Stir over medium heat until the gelatin dissolves, and the mixture is hot (do not bring to a simmer). Remove from heat. Stir in honey. Using a jelly canning funnel, pour the mixture into approximately to 4-4oz. jars. Chill until gelatin sets, about 8 hours. Cover and keep chilled for up to a week. Serve with bread & butter or as a condiment on a cheese board. Notes: This Raspberry Balsamic Jelly recipe is very straightforward. If you prefer, you may substitute 3 teaspoons of another flavor such as strawberry, or an unflavored gelatin for a plain balsamic jelly. This flavored Balsamic Jelly makes a particularly nice gift for cheese lovers. It really complements a cheese plate nicely. 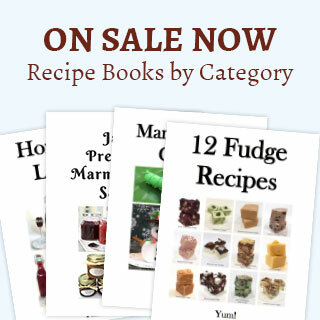 It is a favorite of many of my friends, and it’s often requested as a gift from my kitchen. Enjoy.